In our courses we teach Tango Salon, the most popular style in Buenos Aires. It is characterized by the following traits: elegance; both open and closed (elastic) embrace; leader and follower remain for the most part in their own axis; musicality: rhythm, melody and pauses are all given their due. The most important element of tango is the fundamental technique. That’s why the fundamental courses are necessary in order to dance well. If you’re already an experienced tango dancer, this is the chance to really delve into the details. *General information regarding our foundational courses: they are not “beginners’ courses” (otherwise we’d just call them that). Generally speaking most people want to advance as rapidly as possible to the intermediate/advanced courses, but in doing so the fundamental technique often suffers for it. The fundamentals, however, are the basis and only once these have been mastered can we really dance Argentine tango and not simply execute figures. Above all, the Fundamentals II course can be recommended to EVERYONE – also in combination with the Int./Adv. course. Conclusion: signing up for a fundamentals course doesn’t automatically imply that one is a beginner! Rather, it means that one is interested in really learning tango from the ground up and understanding it. Similarly, taking part in an Int./Adv. course doesn’t automatically mean that one is an advanced dancer. The focus in the Int./Adv., rather, lies elsewhere: on more complex sequences and techniques, which cannot be executed well if one doesn’t continually work on one’s fundamental technique. We are professional tango dancers who engage with the dance with great intensity, training every year with the best teachers in the world. Quality is very important to us and we hope you will appreciate that and gift us your trust. Even if one is only a hobby dancer, being taught by professionals has many advantages. We remain at your disposal should you have any questions or require any clarifications. We don’t make any empty promises, such as that after two courses one will be an amazing tango dancer, since learning how to dance tango is a process which hopefully never ends. We do, however, promise that all our students will learn a great deal, above all what it means to really dance tango. Naturally, one should have fun doing it! In our opinion, the choice of initial instructor is a not inconsequential one, since it is much harder to rid oneself of bad habits and misconceptions later down the line than to learn things properly the first time round. 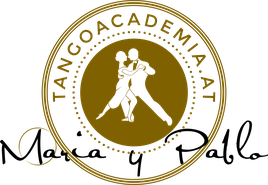 In order to teach tango well, one needs a very profound knowledge of the fundamentals. Unfortunately, in Europe one often comes across clichés and/or misconceptions derived from standard tango (which features fixed sequences and numbered steps).